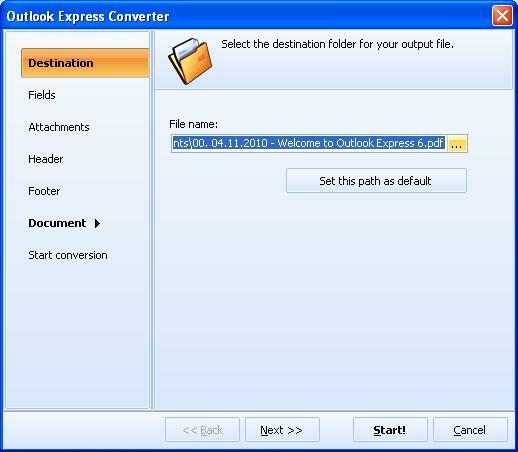 Convert Outlook Express emails to PDF, TIFF, DOC, PST. Convert Outlook Express emails to PDF, TXT, DOC, HTML in batch. GUI and command line. MS Outlook Express stores emails in DBX format locally and synchronizes this storage with new emails each time you or your mail client checks mail. If you would like to convert your emails to DOC, PDF, HTML, TXT, or TIFF, Total Outlook Express Converter is the tool that will help you. This program converts emails into various image and text format with minimum efforts from user. This converter is extremely functional and quick in data processing. 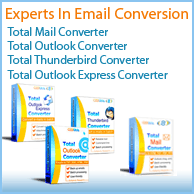 When you are using Total Outlook Express Converter, do not have to export e-mails from your e-mail client before conversion, as the program synchronizes directly with your mail storage. You will be able to view the mail list and read messages similar as in your mail client. Important! 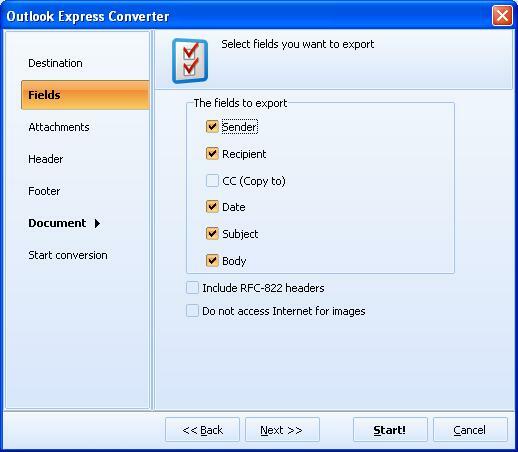 Total Outlook Express Converter does not convert attachments. If you want to convert attached documents as well to have all the files in one file type, use Total Outlook Express Converter Pro. Batch email processing. You can select the entire folder like Inbox or Sent, and Total Outlook Express Converter will convert them all together to the format you preselect. In such a way it is possible to convert thousands of emails at a heat! Attachment processing. You can store attached files into separate folder. You can convert attached messages into the same format as email originals. Flexibility. You can convert entire messages or select specific fields for conversion (sender, recipient, CC, BCC, date, subject, or body). You can also adjust the layout for the converted email copies by applying external CSS file or internal scheme. 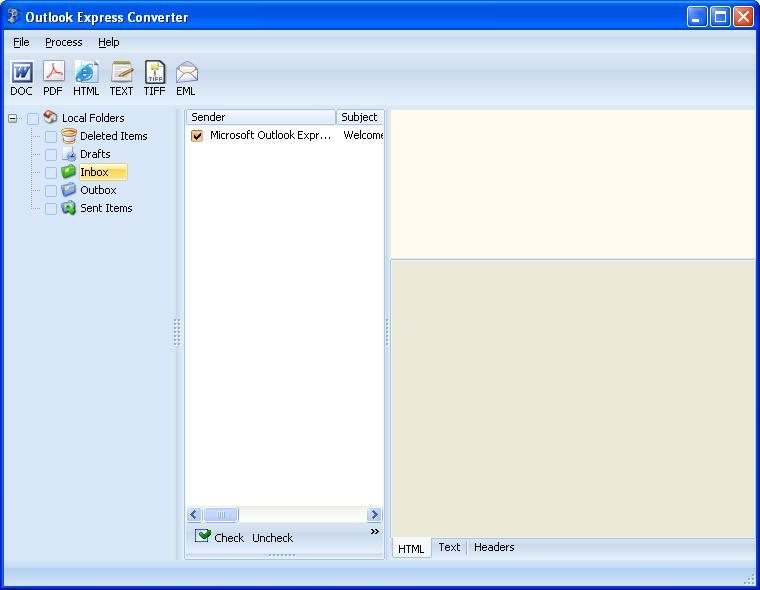 Total Outlook Express Converter is free for 30 days of use. 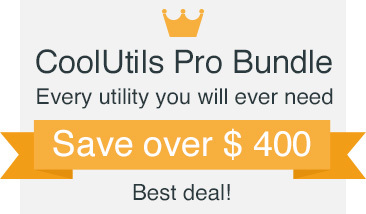 Then you can simply purchase a license and continue using the converter without reinstallation. Try it now for free! "The program is great. I actually think the site and the process was pretty straight forward and simple. The primary reason I downloaded Total Outlook Express Converter was for the email to DOC conversion. Your program did it perfectly."